A bespoke experience of relaxation amidst nature. Set within a wild flower meadow on our small farm guests will find a luxury bespoke shepherds hut for 2 adults. Luxury bedding, fully equipped kitchen with hob and fridge. A luxury en-suite with hot shower and modern composting toilet. A wood burner with a supply of wood to keep the hut warm and cosy. Outside in the enclosed garden there is a fire pit, seating areas and gas fired bbq. 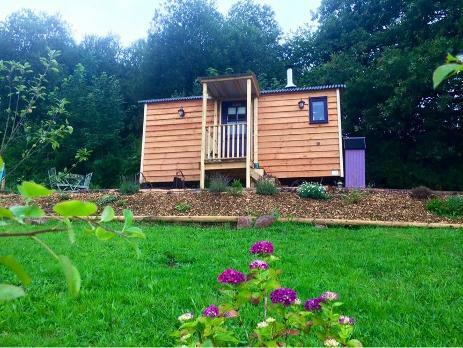 The hut known as Little Idyll sits on a commanding position with fantastic views over the Wye Valley and beyond. Guests will adore the friendly neighbouring Alpacas and pony and can even go into piggy paddock to meet our friendly pigs and chickens, turkey and ducks. Welcome basket, toiletries, linen and towels all provided. A luxury DIY breakfast basket can be provided for a fee. 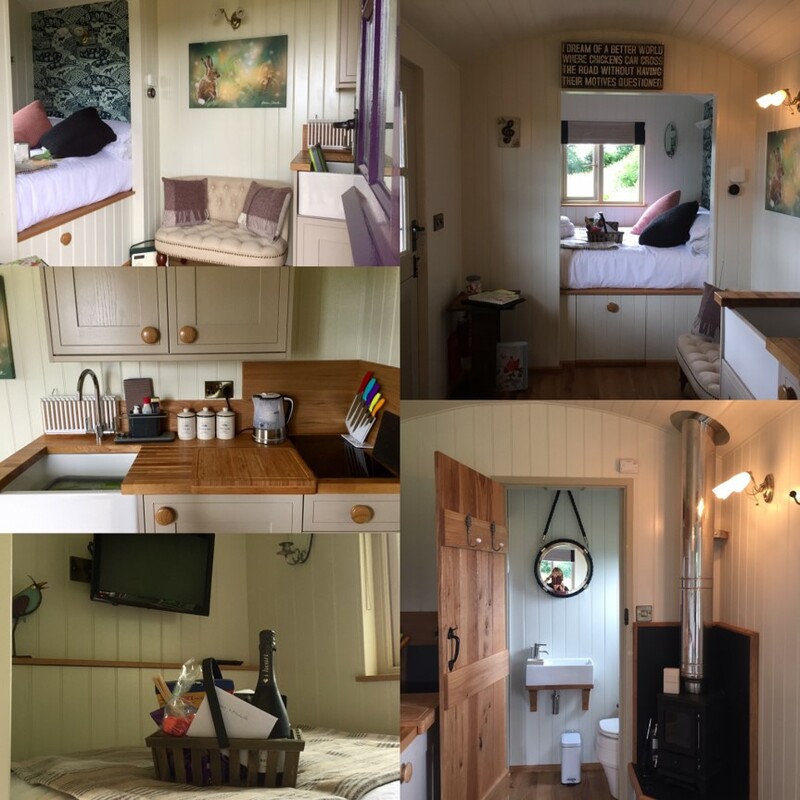 Maybee Glamping opened in July 2017 and has already won Love Your Hut of the year award and can also be found on Farrow and Ball Inspirational Site. Guests can relax amidst nature in complete luxury.